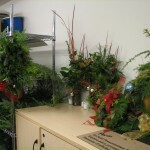 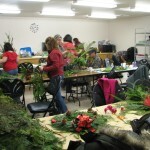 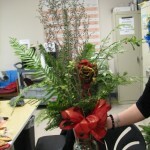 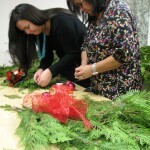 The Hibulb Cultural Center hosted “The Greens of the Earth” holiday wreath making day on Wednesday, December 19th. 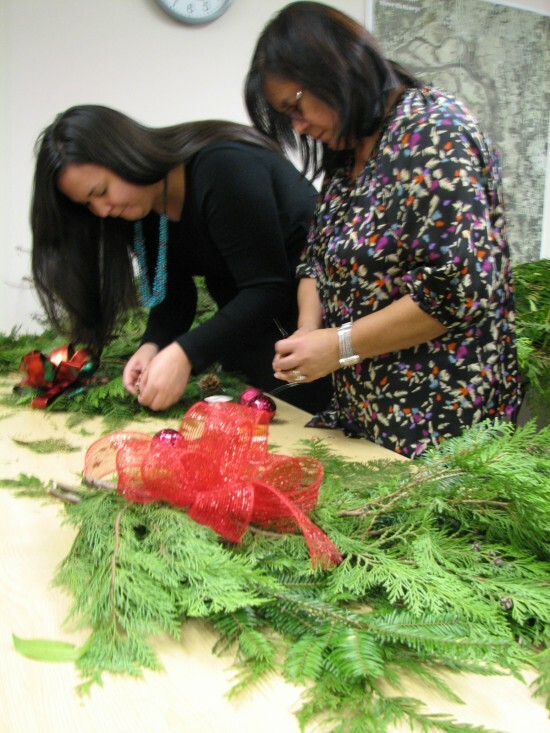 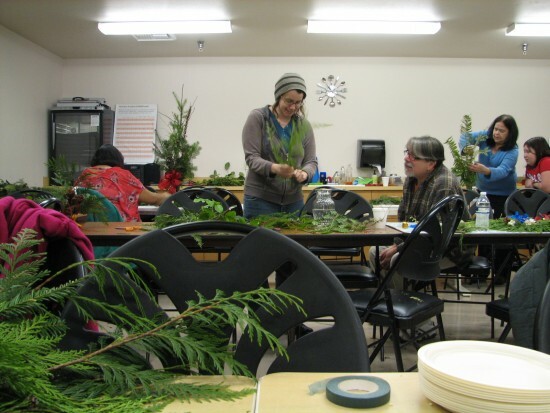 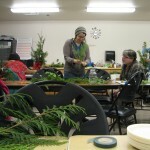 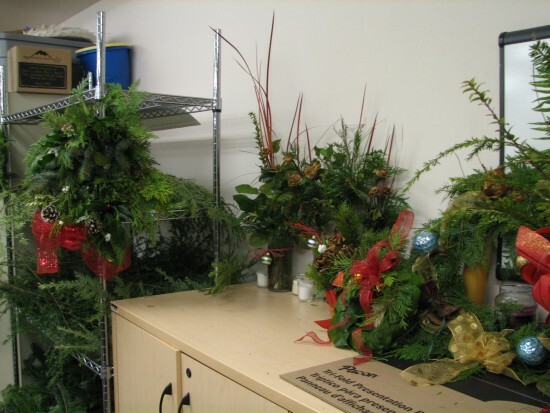 From 9am to 3:30pm people were invited to come and make holiday wreaths with fresh picked cedar boughs, salal, ferns, twigs and pinecones and decorate with items such as bows, presents and ornaments. 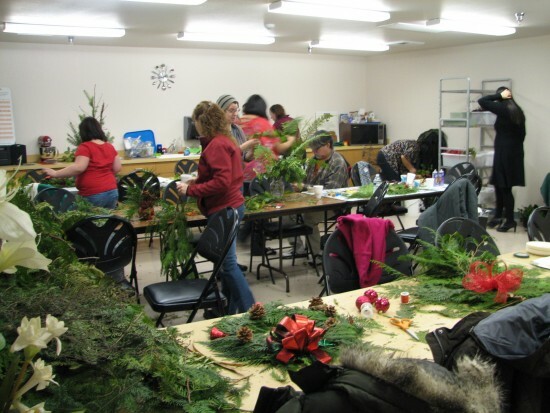 Attendees arrived eager to make their own holiday arrangment and enjoyed refreshments of cider, fireweed tea, cookies, fruit, cheese and crackers. 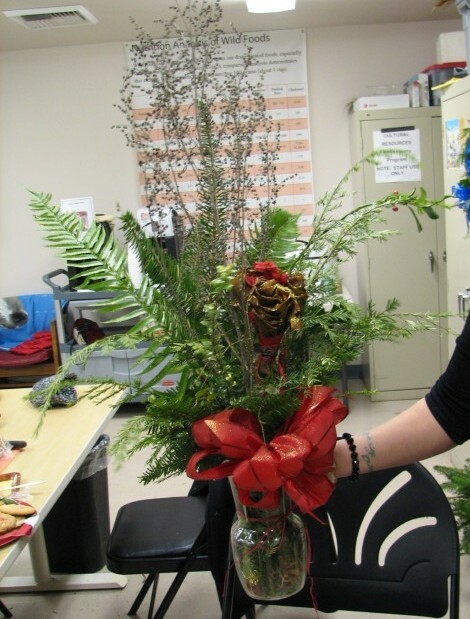 Anttendee shows off their completed arrangement.